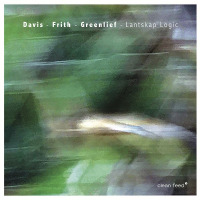 Traffic Continues represents the latest contemporary, neo-classical/improv disc from the estimable guitarist, composer and often-brilliant improviser, Fred Frith. Along with - new music - iconoclasts “Ensemble Modern”, Frith segments this offering into two primary themes consisting of various miniatures, aptly titled “Traffic Continues” and “Traffic Continues II: Gusto (for Tom Cora)”. Throughout, Frith serves as music director or perhaps – traffic director for the 21 musicians who comprise “Ensemble Modern” while Franck Ollu conducts the musical proceedings on “Traffic Continues” (tracks 1-8). Some of the concepts applied here involve the musicians performing – fragments of written music as Ollu makes the decisions regarding the improvisational and composed sequences. Additionally, a third tier of musicians are “designated as Wild Cards” who are given carte blanche to jump right in and perhaps alter the course of the flow and musical direction. Essentially many of these notions and practices are not entirely new which is evident on the recent “EMANEM” release featuring the “London Improvisers Orchestra” (see AAJ review) yet, when in the able hands of a resourceful and shrewd mind, it would be difficult to predict a deterministic outcome. Needless to state, Fred Frith is one of the preeminent improvisers of the modern music age while deriving inspiration from many of our beloved musical pioneers and visionaries while continually displaying a penchant for post-modern invention. 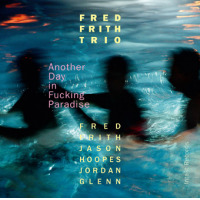 Frith’s “Traffic Continues” (1-8) intermingles stirring improvisation and loosely envisioned structures marked by a variable intertwining current in tandem with short bursts of unison choruses from the large ensemble amid lively movements and lots of sprightly activity. An air of unpredictability shrouds the proceedings akin to a mystery novel while the music also mimics the sounds of the streets in cyclic or unending fashion. Brief interludes elicit thoughts of Copeland, Zappa or perhaps minimalist pioneer Terry Reilly entangled in some sort of imaginary or better yet, unlikely collaboration yet Frith’s distinctive imprint or persona decisively prevails throughout the entire proceedings. “Traffic Continues II: Gusto (for Tom Cora)” features samples of the late, great cellist Tom Cora serving as the foundation for the ensemble’s rich textures, alternating patterns, counterbalancing of harmony and melody along with support from guest artists, harpist Zeena Parkins and drum machine practitioner, Ikue Mori. With this series of works, the addition of Parkins and Mori offers an indescribable flavor consisting of abstract tonalities, surprising accentuation and an otherworldly vibe while Frith’s animated electric guitar voicings often parallels the complex yet implied meter or oscillating course. Traffic Continues is a fine and noteworthy edition to Fred Frith’s extensive catalog and ongoing legacy. 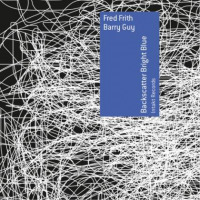 Besides possessing a remarkably individualistic voice as a powerful and quite influential technician, Frith’s perceptive intellect shines forth on this multifaceted and curiously interesting recording. 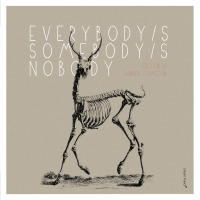 Yet, the composer brings much more to the table than a steadfast diet of heady instrumentals as the serious-minded intentions and presumed austerity is offset by the lighthearted or playful tactics that parallels the investigative spirit in all of us.......A spirit or paradigm that we should never abandon!